LANY visited Emo's in Austin, Texas on their tour with Danny on September 27th,2017. LANY consist of: Paul Klein (vocals, piano, guitar), Les Priest (keyboards), and Jake Goss (drums). In June of 2016, the heartthrobs released their EP titled "Kinda" which gained the approval of many. LANY recently released their self titled album on June 30th, 2017. LANY are from Nashville, Tennessee and definitely impress during their shows. 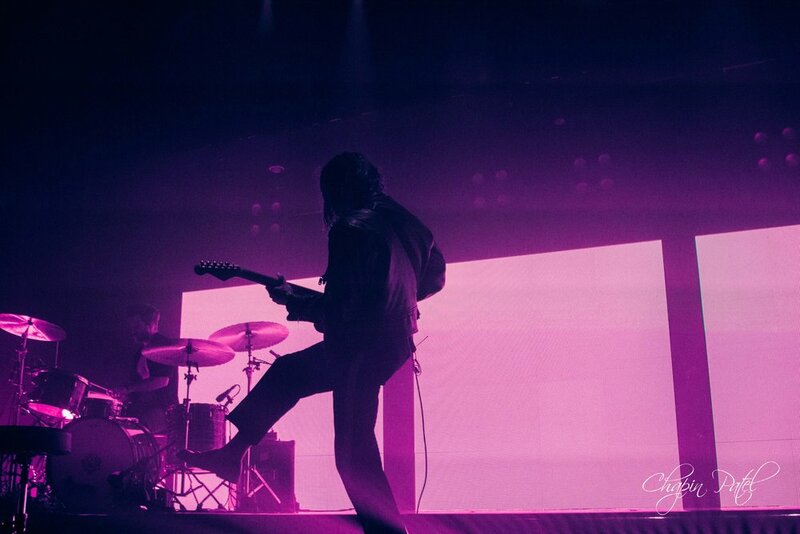 LANY seem dedicated to their fans and their music, they meet with fans hours after the show, get into the crowd and try to make their shows as intimate as possible. LANY have amazing energy, and are so passionate about what they do, be sure to check them out.